I am a big fan of a website called the Dailymile. I describe it to my friends as a kind of Facebook for athletes. It is a great place to share your training with others who are interested in it (my family is not always excited to hear about most recent workout). 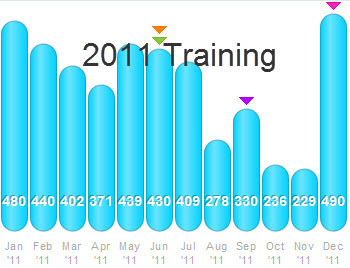 One of my favorite features is the ability to review your training in a number of ways with just a couple clicks. 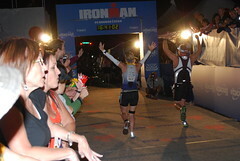 I have taken a few snapshots from the website to show you what I did this year. 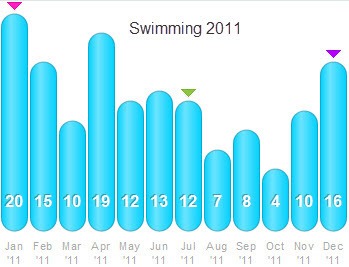 My swimming was a little all over the place this year. I hope to keep swimming 10,000 yds per week while I train for Ironman St. George. Luckily I am a relatively strong swimmer so I can get away with three swims a week and as long as I just maintain where I am at I should have a good swim in St. George. Once my 70.3s were all done for the year I really turned my focus from the bike to my run so that is why there is a major decrease in my miles after July. But as you can see, I am going to be focusing on my bike very heavily for the next 5 months while I prepare for Ironman St. George. 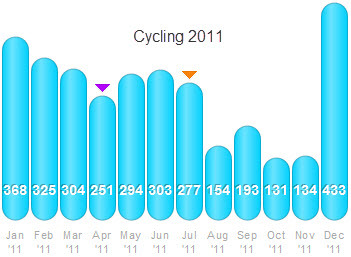 I did see a lot of improvement on the bike this year, but I still have a long way to go. And for running, I really rediscovered a love for it this year. I was able to make huge improvements in my speed and endurance which led me to Boston Qualify in October! 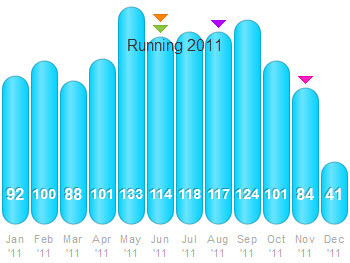 I backed off substantially in December so I could focus on my form and hopefully that will pay off in 2012. I am really proud of doing 7 consecutive months over 100 miles! 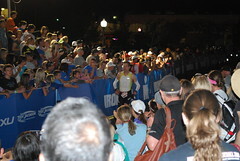 You can see most of my race results here but the highlights of the year include completing two 70.3 triathlons (both under 6 hours), two marathons (Boston qualified in one and won my age group in the other), and finishing my first Ultra marathon (50K). I couldn’t have done any of this with out the support of my family, teammates, and friends (both online and IRL). I did things this year I never thought I could do, EVAH. Here’s to hoping that 2012 will be as successful and rewarding! Click here to see the year end summary from Dailymile! Nice looking year. 2012 will be even better. How was Week #2 of IMSG training? Great!!! Just did my recap and took your lead and added video!